I’m continuing to publish my notes and comments from AU2018. If you never been at AU… it is big. The following video can give you an idea of what is the looks and feels the largest CAD community gathering in my video below. Today, I want to talk about keynote session. Andrew Anagnost, AutoCAD CEO and Scott Borduin, new Autodesk CTO introduced the vision of data management and automation. According to Andrew Anagnost, communicate information in a real time is one of the biggest challenges in today’s manufacturing. Automation of this process can allow collaboration between teams and create model that can be shared between team members. To continue a point about automation and data, he highlighted that processes must be data driven and happening in a real time. Decision makers must be able to work on any device at any time in a global platform. For example, manufacturer would like to understand what parts need to be made, purchased and how all these parts need to be delivered and assembled based on the requirements. This is how Autodesk vision for manufacturing sounds like. This articulation is a step from PLM mantra of singe source of truth. 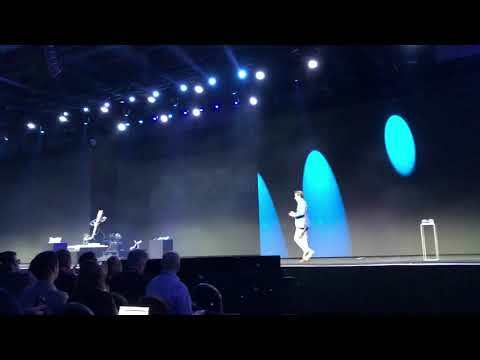 Actually I didn’t hear a single word about PLM during Autodesk keynote. Instead, placing data in a center as a mechanism of decision making is actually very refreshing. Scott Borduin, Autodesk CTO, started his keynote by reflecting on industry was always involved into a business of moving data from early versions of AutoCAD. According to him, cloud is a solution to the an old problem of moving data. This problem of moving data cannot be solved just by moving data to the cloud. Need the solution how data can flow through the all products – again data + automation. Scott highlighted that data is a positive sum game. More data- more value and knowledge, therefore focus on data will take Autodesk platform towards future horizons. Autodesk is stepping down from #PLM methodology. Is it a time to kill #PLM acronym? If you did miss my article with comments from PLMx event in Chicago week before here.